Israel reportedly sought to take advantage of thaw in US-Cuba relations to pursue its own relations with Communist state. 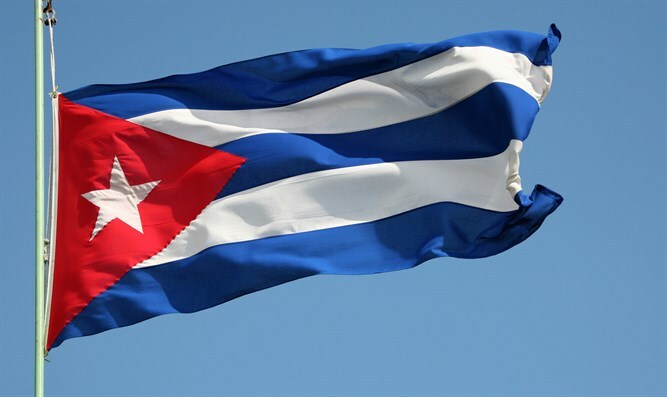 Israel held secret talks with Cuba in recent years with the aim of establishing relations with the Communist state, according to a report by Israel's Channel 10. According to the report, Israel reached out to Cuba several months after the Obama Administration restored American relations with Cuba in 2014, 50 years after the two nations cut ties. Israel decided to examine the possibility of establishing ties with Cuba and approached Canada with a request to mediate between the parties. Foreign Ministry Director General Dore Gold approved the plan. Israel reportedly sought to focus on the issue of tourism, a topic of importance to both nations. After several months in which the two countries messaged one another, an invitation arrived from Havana, and Foreign Ministry deputy director-general for Latin America, Modi Efraim, was secretly sent in mid-2016 to hold talks with Cuban officials. According to the report, Israel asked that Cuba stop leading anti-Israel initiatives at the UN, and Cuba on its part asked Israel to stop supporting the American embargo. Israeli officials said the talks were positive, but that the idea was shelved after the election of Donald Trump as President of the United States and the subsequent deterioration in relations between Cuba and the US.